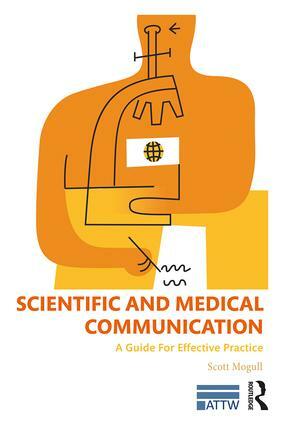 Scientific and Medical Communication: A Guide for Effective Practice prepares readers to effectively communicate in professional scientific communities. The material in this book is firmly grounded in more than 500 published research findings and editorials by scientific writers, authors, and journal editors. Thus, this text provides the broadest and most comprehensive analysis of scientific writing. In addition, carefully selected and thoroughly annotated examples from the scientific and medical literature demonstrate the recommendations covered in the text. These real-world examples were carefully selected so that the scientific content can be understood by those without a detailed background in any particular scientific or medical field—thus clearly illustrating the content organization and writing style. This text will prepare individuals to write and edit scientific manuscripts, conference abstracts, posters, and press releases according to journal and professional standards. Readers will also learn to conduct effective searches of the scientific and medical literature, as well as proper citation practices. Scott A. Mogull is an Associate Professor of scientific and technical communication in the Department of English at Texas State University in San Marcos, TX. Previously he was an Assistant Professor at Clemson University where he focused on teaching scientific writing to science majors. His primary research focuses on scientific and medical communication and scientific communication ethics. He has published research in the fields of microbiology, technical communication, medical writing, and medical rhetoric. For nearly a decade, Mogull has worked in the biotechnology, biodefense, and molecular diagnostics industry as a scientific communicator, product manager, marketing manager, and coordinator of global technical information. Since 2008, he has been on the editorial board of Technical Communication Quarterly, the journal of the Association of Teachers of Technical Writing (ATTW). He has a Ph.D. in Technical Communication and Rhetoric from Texas Tech University, an M.A. in Microbiology from The University of Texas at Austin, and an M.S. in Human Centered Design and Engineering from the University of Washington.